Now that iOS 10.2 beta 5 is available, here we take a look at new features (if any), changes, and known issues that Apple has packed in this release. Here are the details. Apple’s recent release of iOS 10.2 beta 5 has us edging ever closer to the final, stable release that Apple will make available to punters who want to get the latest and presumably greatest version of iOS onto their iPhones and iPads. Following the beta program that has seen both developers and testers get some time to put iOS 10.2 through its paces, we’re hopeful that Apple is now starting to run out of bugs to squash. From the official changelog, it seems fixes are very much the order of the day with beta 5. 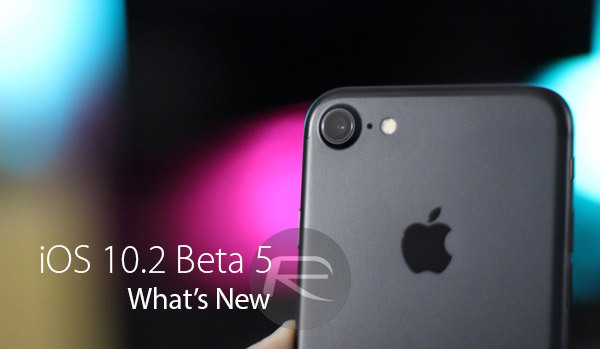 One thing of note that we found particularly interesting was the quick release of iOS 10.2 beta 5, coming as it did just a few days after beta 4 was made available for download. We can only assume that the reasons for such a quick turnaround boil down to wanting to fix bugs quickly rather than have to wait for the normal release schedule to trundle around, so well done Apple for the proactive approach. – The TV app should no longer crash or show “TV is unavailable” on iPod touch. – Syncing with iTunes 12.5 through 12.5.3 should no longer delete TV app library content. TV app cannot be restored after it is deleted. The inclusion of a known issue there suggests Apple knows there is still work to do before iOS 10.2 is ready for primetime. Whether that means we will see a beta 6 is unclear at this point, but we would be very surprised if users wouldn’t be able to restore the TV app after it was deleted in the final, public version of iOS 10.2.
iOS 10.2 will be come with an all-new TV app instead of the dated and relatively unused Videos app, new emojis and more iMessage effects as well as UI changes for the Music app. I still use it and it is still installed on my iOS 10.2b5 iPhone 7 plus. So, I have the beta update for an app that isn’t available in my country….Why? This is Apple’s way to finally stop jailbreaking. A continuous list of beta updates! There will never be a final version of ios 10! Glad I stayed on 9.3.3.